Japanese utility vehicle maker Isuzu Motors has firmed up its India plans with a manufacturing plant in Sri City, Andhra Pradesh. Isuzu will invest nearly Rs 1,000 crore in the greenfield plant that can make nearly 50,000 vehicles a year. The India-specific announcement is expected on March 15 in Hyderabad. The plant will be ready for commercial production by 2015 and till then, the Japanese manufacturer will use the Hindustan Motors’ Chennai car plant at Tiruvallur and General Motors’ facility. “The initial plan is to roll out MU7 Choiz (a sports utility vehicle sporting a 3.0-litre engine) and V Cross, a 2.5-litre engine, mounted pick-up,” sources said. Isuzu could not be reached for comment. The homologation –– the process of certifying that a particular car is roadworthy and matches certain specified criteria laid out by the government for all vehicles made or imported into the country ––was completed a few weeks ago at ARAI in Pune. 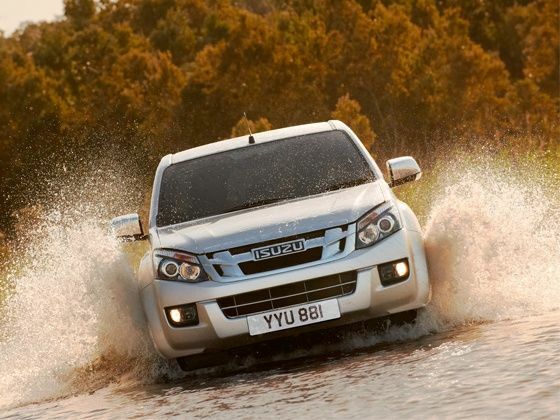 Isuzu is known for its leadership in diesel technology. Its global product portfolio comprises of heavy-, medium- and light-duty trucks, buses, passenger vehicle engines, industrial-use diesel engines. It will, however, concentrate on pick-ups and SUVs in India. Isuzu had offered its utility vehicle ‘Panther’ to General Motors to be rebadged as Chevrolet Tavera in India. The company’s diesel engines were mounted on Hindustan Motors’ Ambassador and Contessa. Sri City, though located in Andhra Pradesh, is just on the outskirts of Chennai. Isuzu will use the near shore advantage of Chennai’s auto parts ecosystem to build its plant and India business. “Andhra Pradesh is desperate to get an automotive factory. Remember the failed Vashishta Wahan, which was supposed to be an Indian arm of Volkswagen, but turned out to be a fictitious entity. They are going all out for a car plant, but nothing happened. Even with Isuzu, the original announcement was due in December-end, but has since been postponed to March,” sources said.